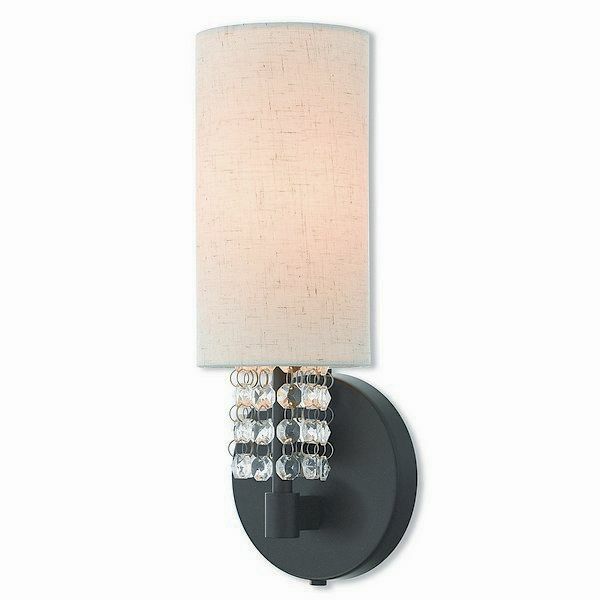 Livex 51090-92 - A contemporary style wall sconce from the Carlisle collection features a english bronze finish with hanging strands of beautiful clear crystal. The crystal drapes from a hand crafted oatmeal fabric hardback shade and creates a magnificent sophisticated look. Dimensions: 4.75" W x 11.75" H x 4" Ext.